From the 1st century B.C. Sorrento witnessed the rise of Roman villas along the most panoramic points of the coast. They were constructed by the elite Romans, who had chosen the area as a favourite vacation spot. The seaside villas built in the Peninsula were constructed to celebrate the leisure time of Roman male politicians, who during breaks from political life, dedicated themselves to the satisfaction of various pleasures or to the cultivation of cultural interests. The grandeur and luxury of these aristocratic Sorrentine residences are documented in some worthy findings of the capital, occurring in the major part, in the most beautiful points of the coast. The George Vallet Archeological museum, hosts an entire section dedicated to the seaside villas, including marble reliefs, the capitals of the Villazzano villa, a model of the so called Pollio Felice villa, and a colossal statue of marble attributed to a villa of the imperial era. In 1980, along the north coast of Marina della Lobra, a splendid mosaic nymphaeum was discovered in a Roman Villa belonging to Giulio-Claudia (50-55AD), called Villa Pipiano. This seaside villa, with gardens, terraces and colonnades, was constructed to celebrate the idleness of Roman emperors and generals, as the Gulf of Naples had found been found, the ambiance most adapted to rest. The beauty of the nymphaeum, reconstructed outside the George Vallet Archeological museum at Villa Fondi, is attributed to the richness of the decorations of the walls, which are completely covered in mosaics. 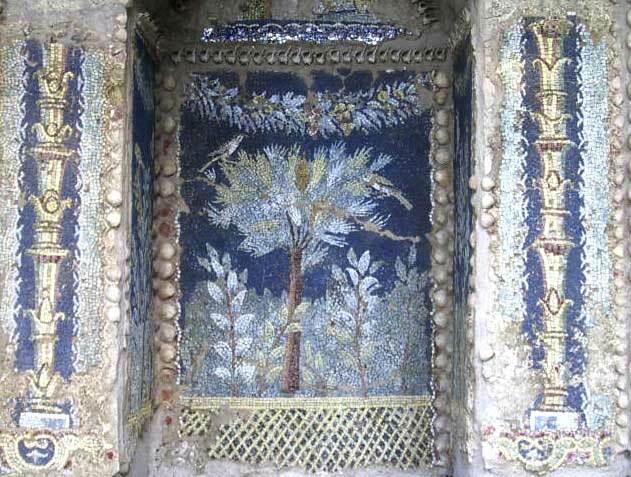 The central theme of the mosaic decoration is a flower garden which is populated by birds, utilising the III Pompeian style in its painting. Also present however, is still life nature and sea beds common to the repertoire of paintings of the IV Pompeian style. The technical decorations of the mosaics were largely used by the Romans for its durability and brightness of colour. The Roman villa at Villazzano, attributed to the Augustus era, occupied almost all of the Capo Massa area and consisted of a hillside garden and a residence, situated higher up on a plateau. The enormous complex of this villa consisted of a group of houses along the sea and a splendid nymphaeum and artificial caves. Some of the remains of this villa, like the splendid capitals and the marbles reliefs, are exhibited in the Archeological Museum of the Sorrentine Peninsula. In particular, the reliefs represent an important testimony of the aristocratic taste and luxury and the polished clean style, of which the Roman nobility loved to surround themselves with. 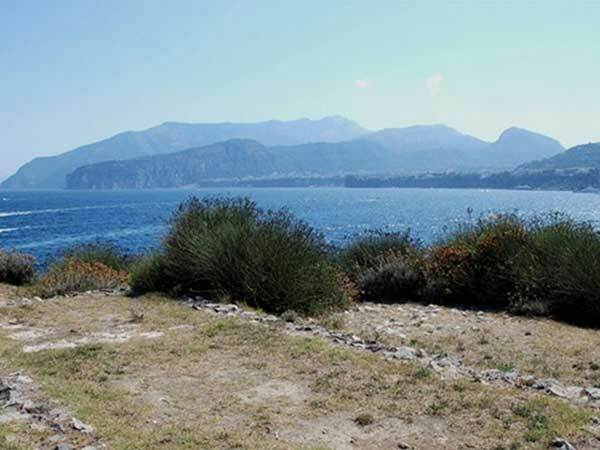 Following the coast of Massa Lubrense towards Sorrento, it is possible to find the remains of another Roman villa, which is thought to have belonged to Pollio Felice, a distinguished member of the noble family of Pozzuoli. The reconstruction of this complex was derived from information contained within two poems by Stazio. It is believed that the building was surrounded with a beautiful porch, constituting of monolithic columns in marble and was divided into two floors, with rooms orientated towards the land as well as the sea. You can admire a model in which the likeness of the villa is reconstructed, in the second floor of the Georges Vallet Archeological museum. 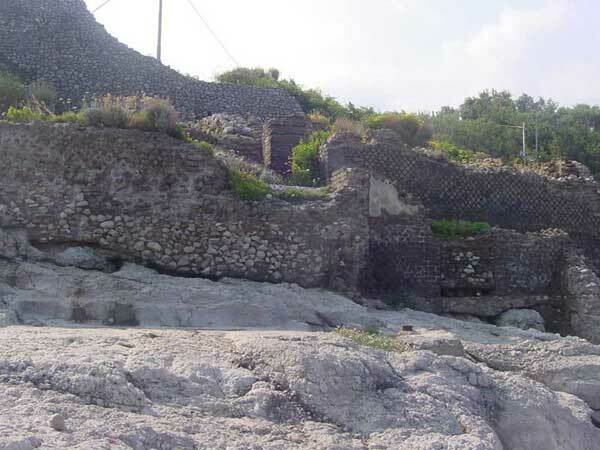 In the locality of Capo di Sorrento, you can visit the remains of another villa, whose ruins are located on the rocks of the so called “Bagno della Regina Giovanna” (Bath of Queen Joan). From the little that remains, this seaside residence is attested to the era of the reign of Claudius (41-54 A.D). The inside of the complex of this villa extended over almost thirty thousand square metres was divided principally between residence and seaside villa. 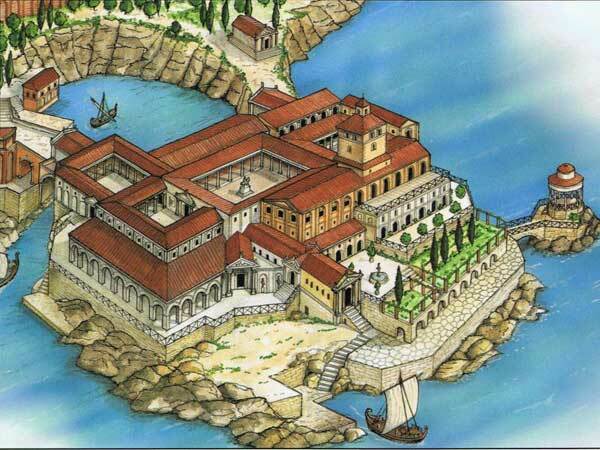 Whilst the residence was situated on the promontory, surrounded by gardens, the seaside villa was reachable crossing a complex passage of stairs and panoramic terraces and stood by the shore, within the natural basin of the Baths of Queen Joan. The ruins that can be seen today belong to the seaside villa. Little else testifies to the existence of a villa on Punta della Campanella, constructed to house military garrison, whose structure was erected on one of the most scenic points of the coast. Finally, towards the Amalfi Coast, apart from some ruins in Marina del Cantone and at Crapolla, we find two villas on an island. On Gallo Lungo, a house currently covers an antiquated Roman construction. However, the remains of a cistern and landing place are still visible today. In front (on Castelluccia) a slide built into the rocks to pull up dry boats survives. I siti delle Ville della penisola sorrentina sono servite dai mezzi pubblici? Si, le ville Pipiano e Villazzano sono raggiungibili con i bus (blu) della linea Sita. La Villa di Pollio Felice è raggiungibile anche con i bus (arancioni) della linea Circumvesuviana. Per arrivarci però bisogna camminare un poco, le fermate non si trovano vicino ai siti.